In a bid to reverse the fallout from the war on drugs, California is hoping to bring more minorities and economically disadvantaged individuals into the state’s cannabis industry through so-called social equity programs. The new initiatives are generating high hopes among supporters – and harsh criticism from marijuana industry insiders who believe the programs have unleashed more problems than remedies. At least four California cities have established social equity programs: Los Angeles, Oakland, Sacramento and San Francisco. And earlier this year, California Gov. Jerry Brown signed legislation – the California Cannabis Equity Act of 2018 – intended to help municipalities increase participation in the programs. Lawmakers have allocated $10 million toward the effort. California state Sen. Steven Bradford, the bill’s author, said that “if people of color with financial capital and high business acumen are having difficulty gaining licenses, one can only imagine the struggles individuals with zero capital and previous convictions are faced with. Staffing and funding shortfalls for the programs. Long waits related to business licensing for applicants who do qualify. Limited oversight of business partnership arrangements among social equity applicants and outside investors. The situation has led to what some see as a potential for social equity applicants to possibly lose their fair share in their businesses. Anderson’s top criticisms of the L.A. program include staffing shortages at the Department of Cannabis Regulation and lack of funding. Others are even more critical of the programs. “I’ve heard some social equity applicants who are like, ‘This is just a joke,’” said Felicia Carbajal, an activist with California Cannabis Advocates. Carbajal is voicing a dismay that’s being expressed about both the recent state-level social equity initiative and those pioneered by L.A., Oakland, Sacramento and San Francisco. In San Francisco, Reese Benton, the owner of dispensary Posh Green Collective, is equally concerned about business licensing delays. “Investors are using the equity program as a leg up into the industry, and they’re not giving the minority groups that are enabling that a stake in the operation,” he said. Many social equity applicants typically lack access to bank loans or venture capital and/or have no knowledge of how to apply for them to get their cannabis companies off the ground. So, partnerships between applicants and investors are often necessary. Investors who want to qualify for priority application processing must comply with specific local ordinances mandating such liaisons. While partnerships are intended to financially benefit both parties, critics contend the practice can give rise to opportunities for investors to divest social equity applicants of their share in the business. “I’m like, ‘You want me to identify social equity applicants for you to partner with? The partnership opportunity is just fraud,’” she added. However, Greg Minor, assistant to Oakland’s city administrator, pointed out that investors who don’t comply with the social equity ordinance will have their licenses revoked. Some critics contend that even when conducted in good faith, partnerships ultimately could undermine social equity program objectives. Benton, for example, refuses to share partnership of Posh Green, even though she’s paying $2,500 a month to rent a space she can’t yet use because the application she filed with San Francisco’s Office of Cannabis for a retail license has yet to be approved. Partnering would hasten the process. But Benton, who reported she is not yet turning a profit, is $6,000 in debt because she resorted to buying product on consignment and now must pay $14,000 in order to hold on to a storefront. She said partnering would be an injustice to the African-American community she grew up in. 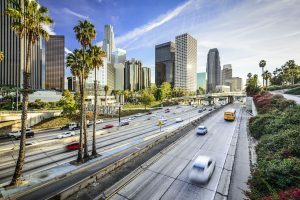 The California Cannabis Equity Act of 2018 provided for $10 million in loans, grants and other supportive services to help social equity applicants, and an L.A. City Council committee met in mid-November to discuss allocating an additional $3 million. Oakland also recently launched a no-interest, four-year loan program that’s available to social equity marijuana license applicants. Yet, while such financial assistance is a step toward helping social equity applicants operate independently, some say the funds won’t go far enough. “In L.A., I believe we get a third of (the $10 million allocated by the state),” said Fanny Guzman, co-founder of Latinos for Cannabis. In cailf, My eyes are now less dreamy. “There are no checks and balances,” said Carbajal, adding that some investors have become predatory and made the partnerships fraudulent. Though I’m not a person with a past arrest record. I’ve experienced first hand what Carbajal stated. Though I’m a So Cal resident I had to go to Pueblo Colorado 2 1/2 years ago to partner with a licensed business owner who basically hijacked with the locals Pueblo jurisdictional System everything I own to Manufacture that which only I could do which was create a medical cannabis Inhaler. No one came to my defense…I could not even get attorneys to represent me or my business in the civil suite filed 2 years ago there as I was not a local. Now I’m embroiled in Civil criminal charges against me about to go to trial April 2019 … It’s like the greed that’s happening is unbelievable. The level of organized corruption goes all the way to the Local District Attorneys..The Police Department and more…Now being back home in Los Angeles I’ve been approached by many well financed individuals who only want my knowledge as a leg up also.. I am in Los Angeles City ? in South Central and l have seen the Devastation of the felt war on drugs in my community. I’ve seen many of my friends die, go to prison for life, the women doing things with their body that they wouldn’t do if the man was in the house, children in foster care coming out of that homeless but there’s a light there’s a light in the tunnel we can get it together we have to learn how to Crowd fund. We don’t have the 40 acres and a mule, but we got the seed we have to learn how to be farmers start growing are Crop and turn this all around for good. God bless what you put in our hands that we learn how to work it. CA’s legalization path has had poor foresight. These problems should have been ruminated upon during the 22 year period where medical pot was in a gray zone. I don’t think cannabis is a good industry long term. If governments wanted to help minorities in the industry it should have done so 20 years ago. When Federal legalization happens in 5-10 years, the general market is going to crash as capital and supply really floods the new national (if not international) market and it will be a very low margin industry on the production and retail side. The only place when a cannabis business will boom will be in the distribution arena if alcohol is used as the model. We should not expect the State to provide anything except for a clear direction, common sense regulations and a faster processing time. Cannabis operations should be treated as any other business operations, for which you’ll need to have the proper planning, knowledge and of course funding. Don’t you think the state had the time to figure out all that you said? ( Enough of the creten creep… please. ). For over 50+ yrs? Of course they did. This is the manner in which they ( the state ) want it to go. To please their special interest oligarch’s and to fatten the state general fund. And the growing re-election campaign fund that very likely has been established by the big licensees that were granted unlimited “Pass Go,Collect $200…” And “Get out of Jail” cards. No kidding. This effort to somehow force the cannabis industry, via the licensing process, into some sort of quasi social welfare program is absurd. It’s a business like any other. California already has enough regulations and taxes. And a lot of additional taxes will come from cannabis. If the state wants to divert some cannabis taxes to targeted social programs, fine. But don’t intertwine the SJ with the actual business operations. California, please stop meddling in every single aspect of people’s lives and business. Enough is enough. There’s entirely too much red tape on the entire process. It’s ridic.